Brighton and Hove based singer and entertainer Geoffrey James was looking for a simple but expandable website as a compliment to his recently printed flyers. We worked closely with Geoffrey to create a distinctive look to the site. 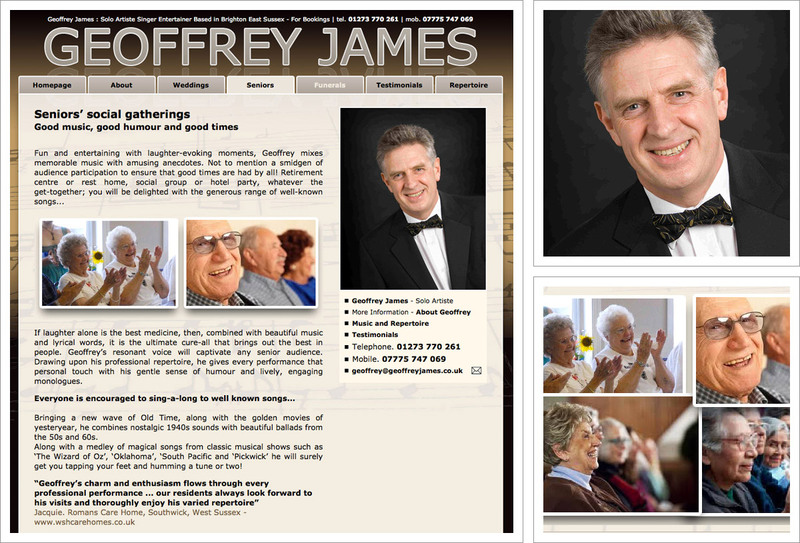 The website details Geoffrey’s services and also includes testimonials from Geoffrey’s delighted audiences too. This website has been enhanced to include audio samples of Geoffrey’s musical repertoire.